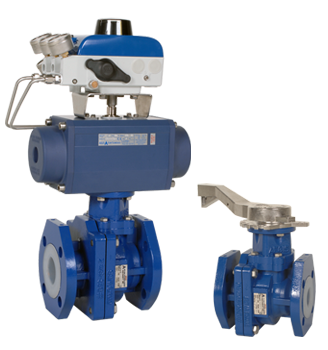 The Aegis® LBF series valves are ideally suited for the stringent performance requirements demanded with wet chlorine gas and aqueous hydrochloric acid applications. The LBR series valves are designed to offer long-term maintenance-free security against the harmful effects of fugitive emissions. Valves for chlorine service are thoroughly cleaned and packaged according to our factory procedures and conform to the Chlorine Institute Pamphlet #6 specifications.